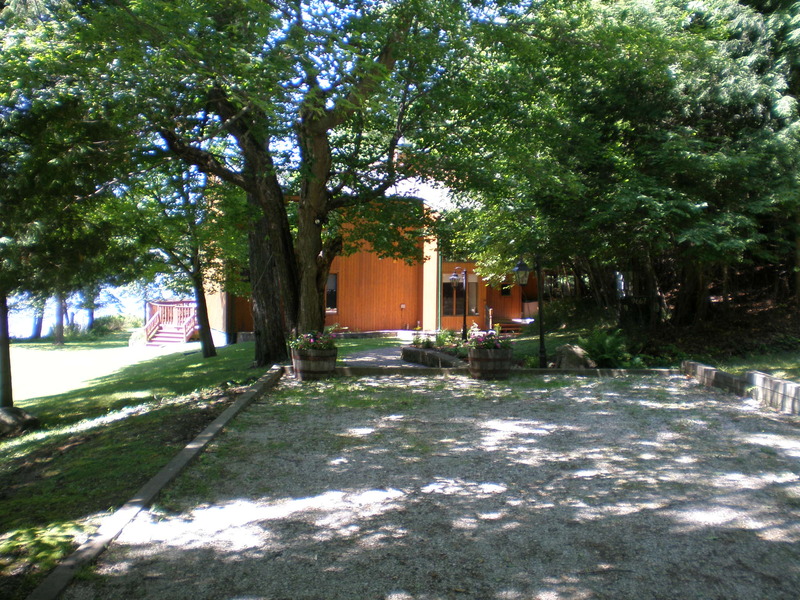 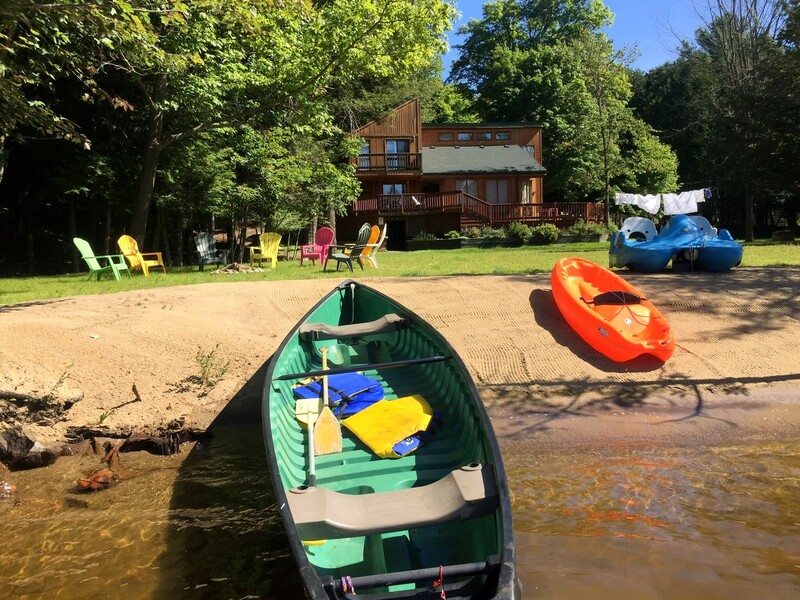 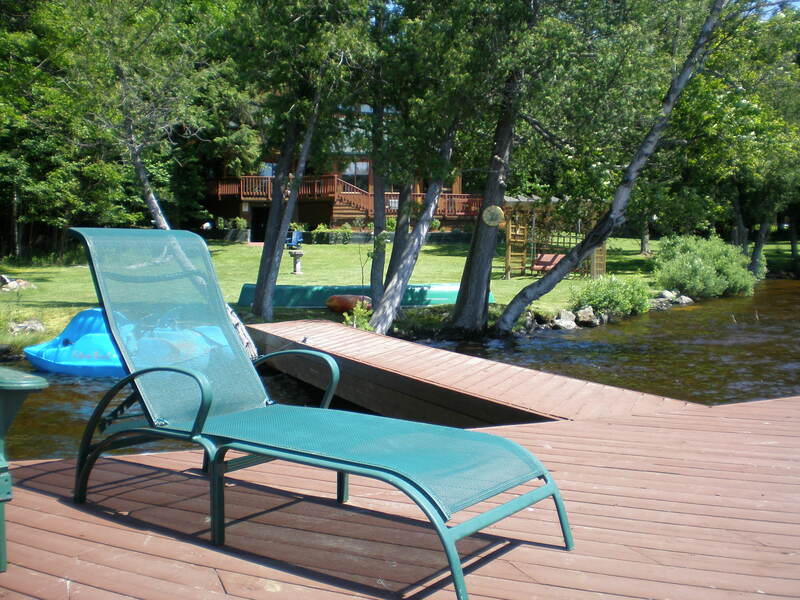 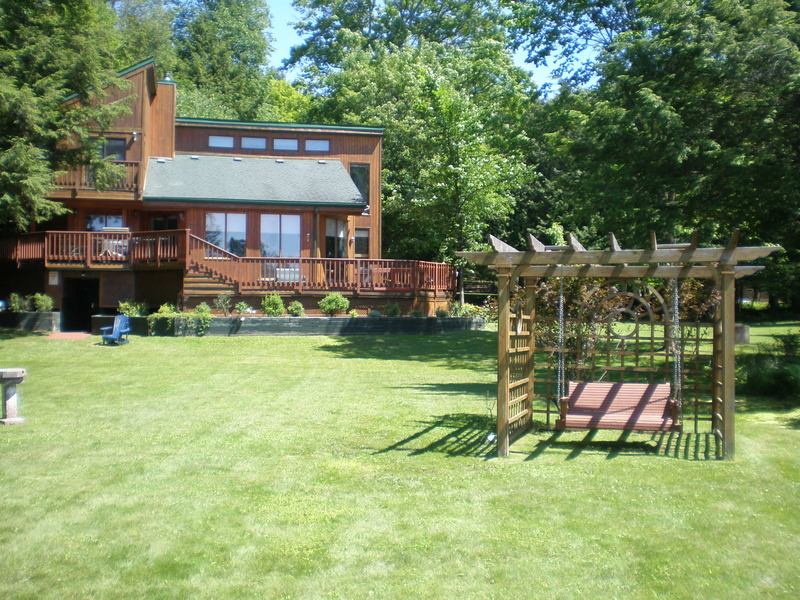 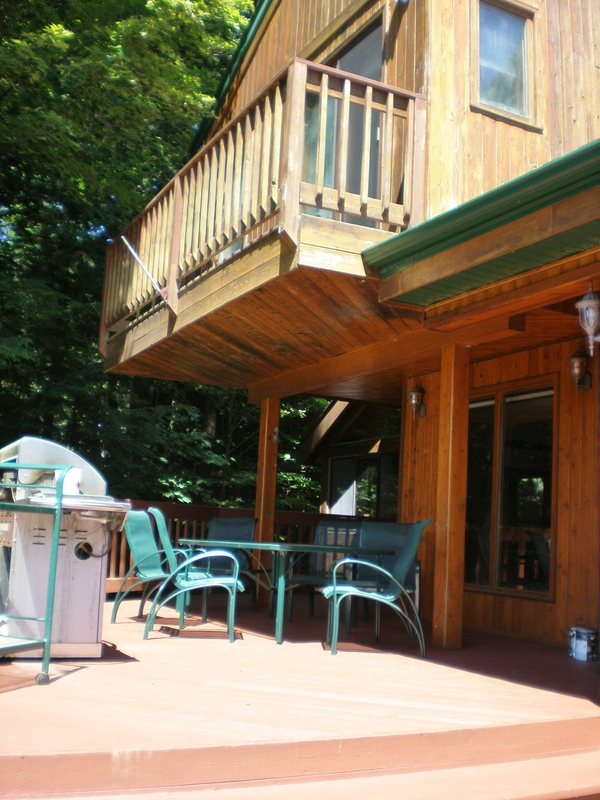 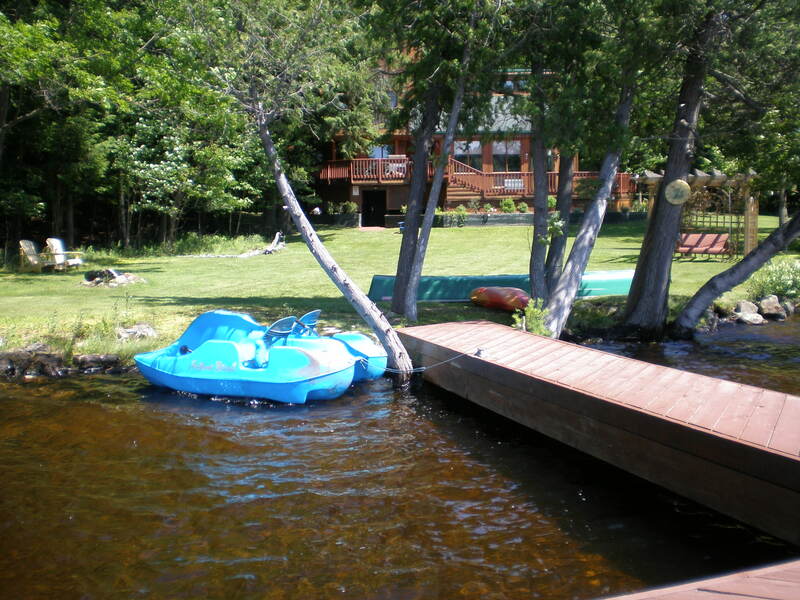 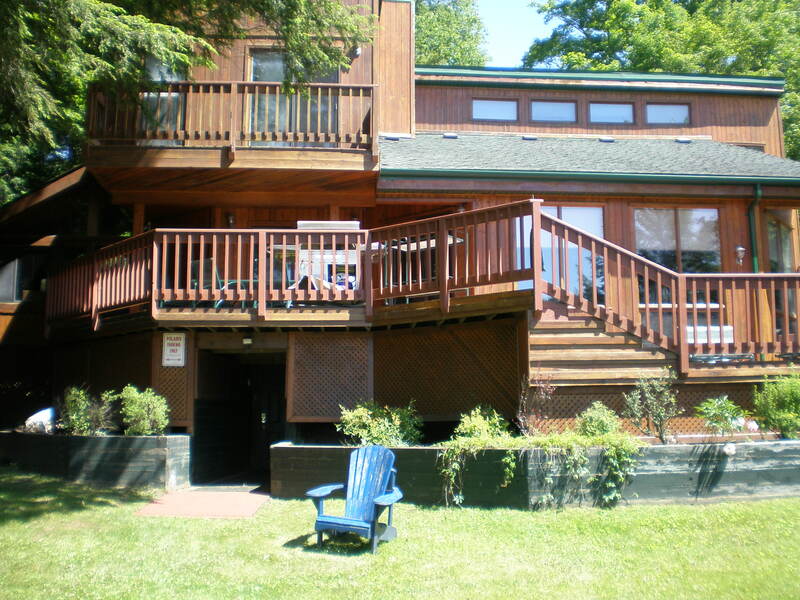 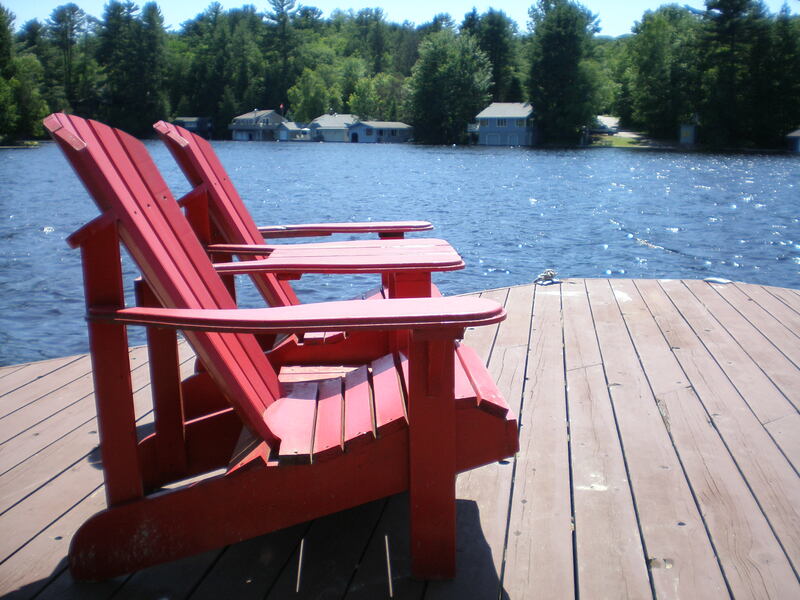 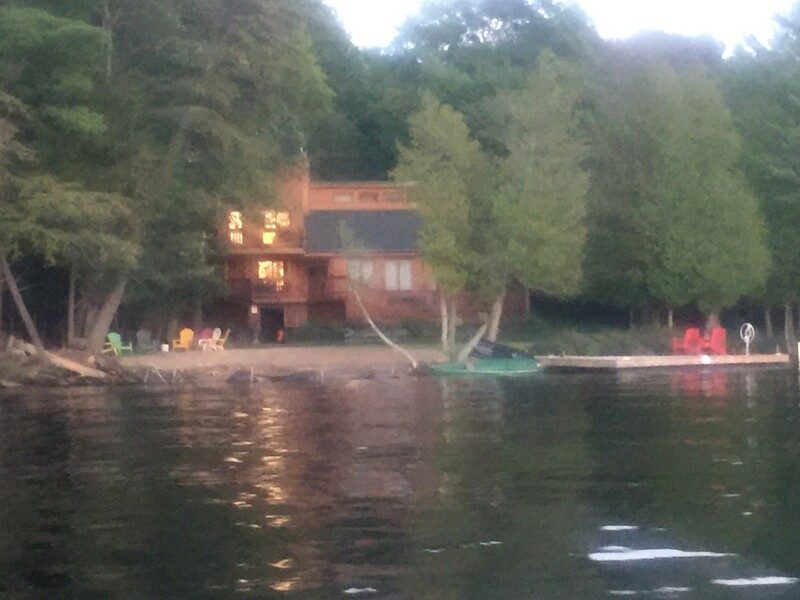 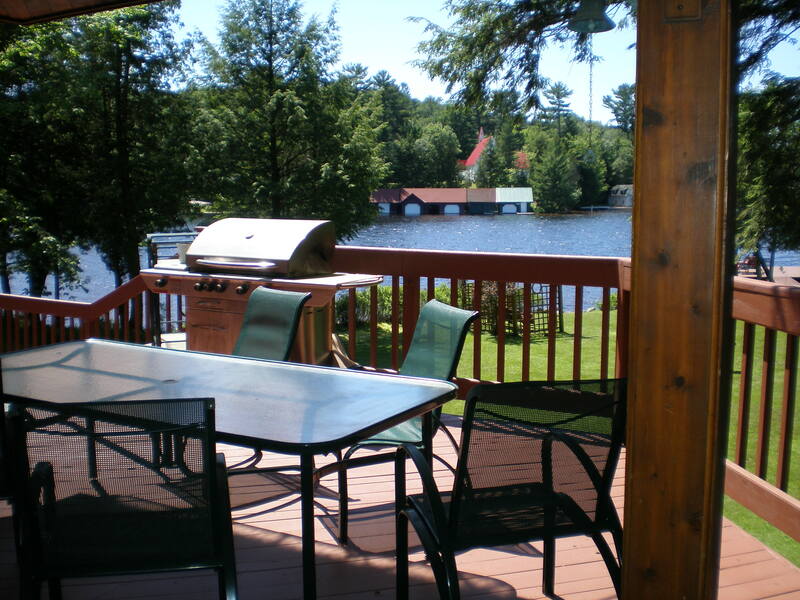 This 4 bedroom cottage is nestled amongst the trees on a wonderful piece of property on Mary Lake. 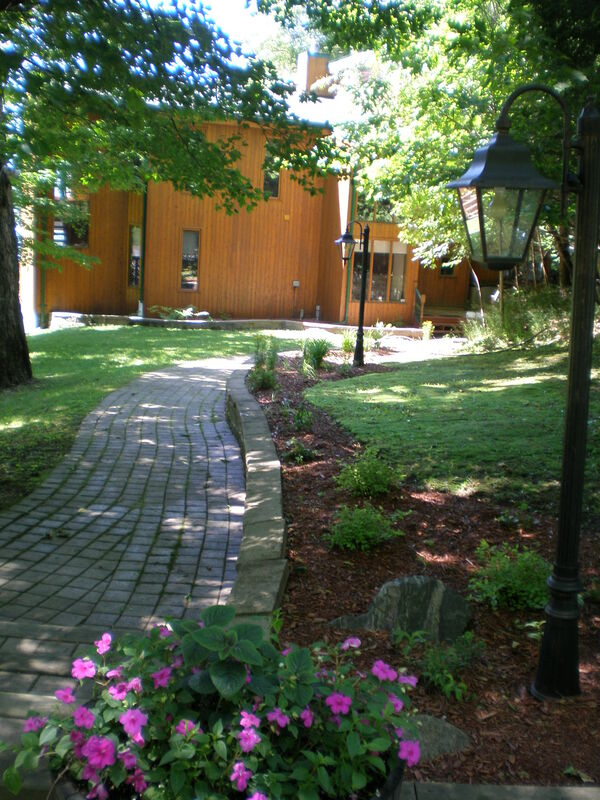 The grounds are very well manicured and beautifully landscaped. 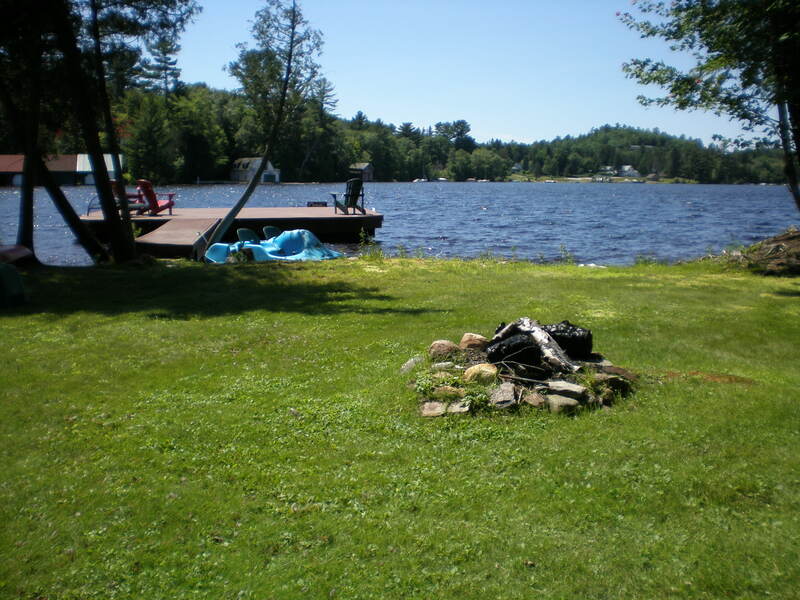 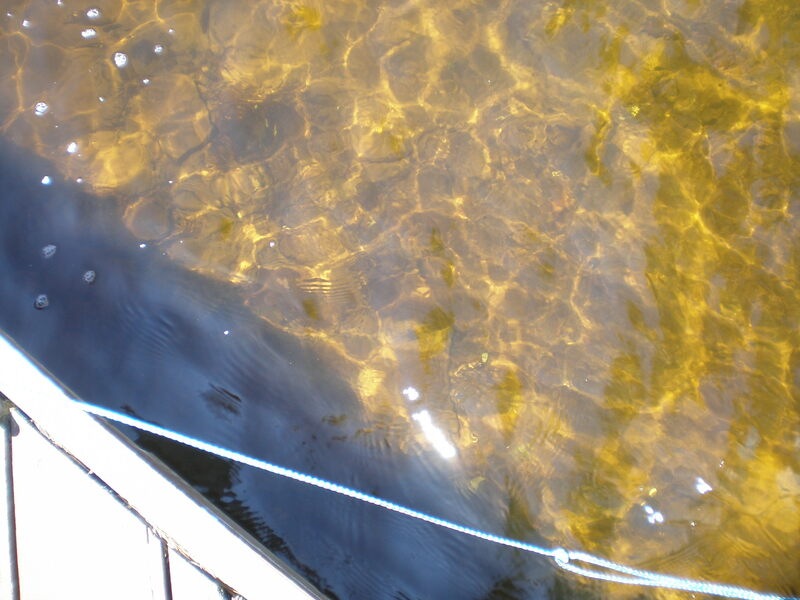 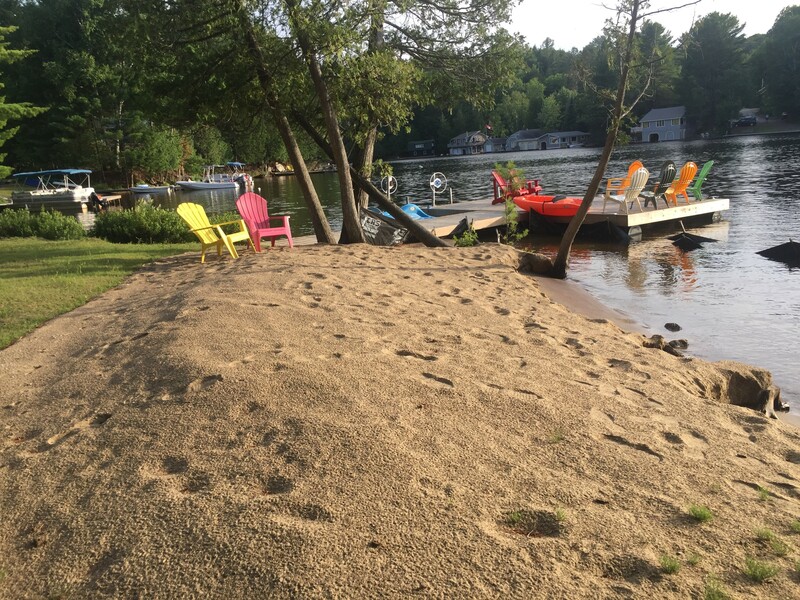 The waterfront has a sandy bottom with shallow entry from the shoreline, and the large dock provides for slightly deeper access (about 4 feet). 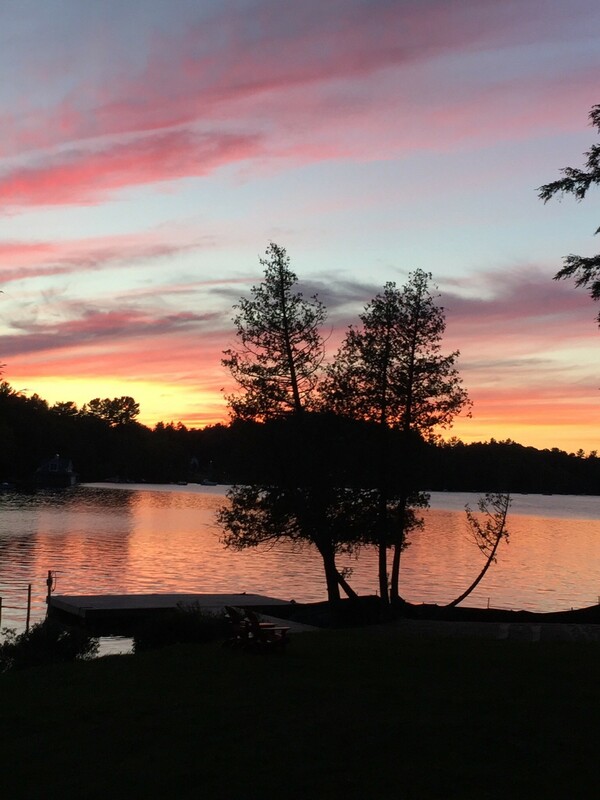 The view is southwest, capturing the magnificent Muskoka sunsets. 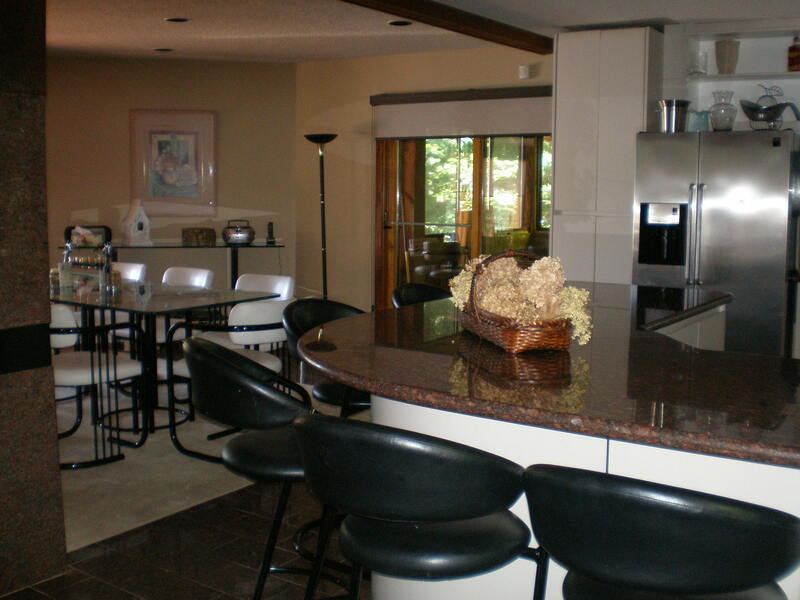 The interior is bright and spacious, and the entrance leads you to the fabulous European kitchen and dining area which overlooks the waterfront. 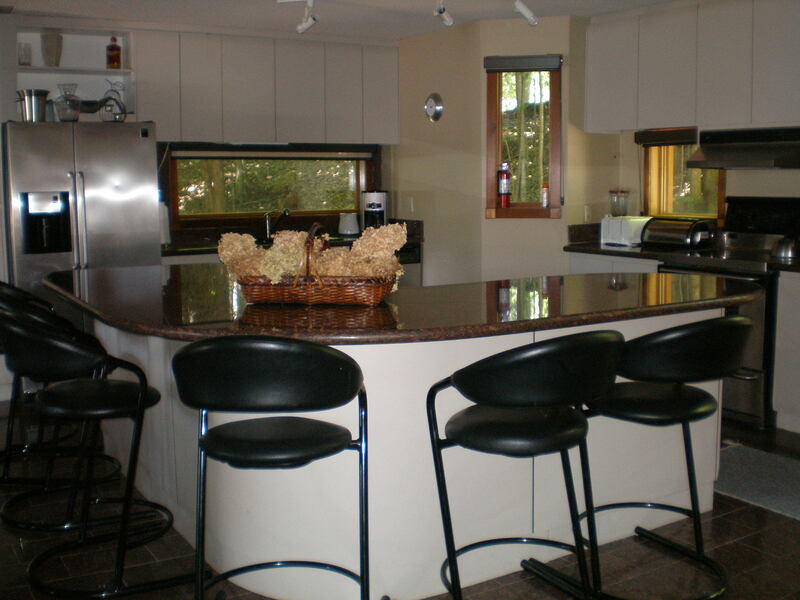 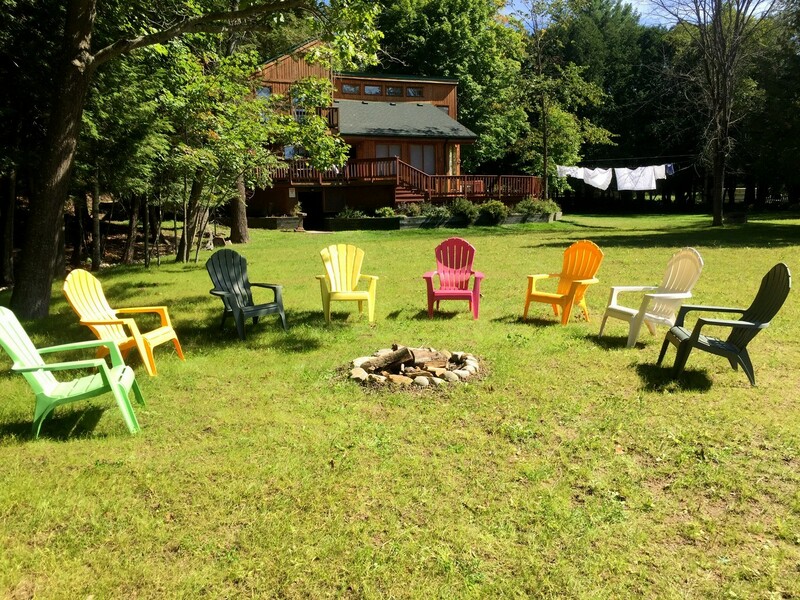 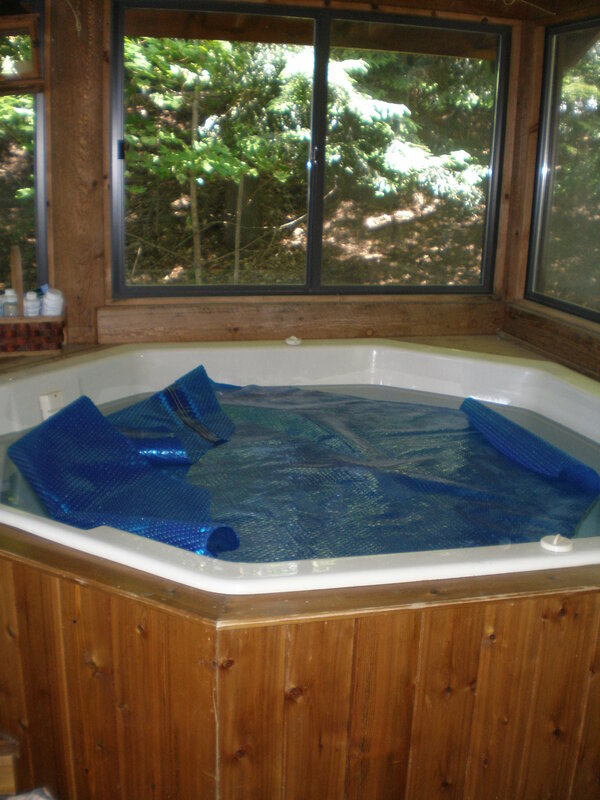 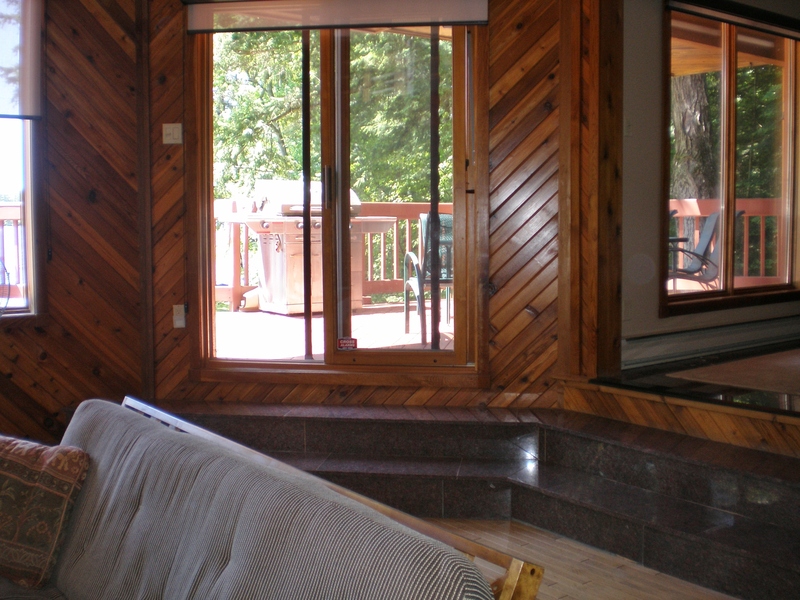 Adjacent to the kitchen area is a sunroom with an 8 person hot tub, the backdrop of forest lending itself to the relaxing nature of the setting. 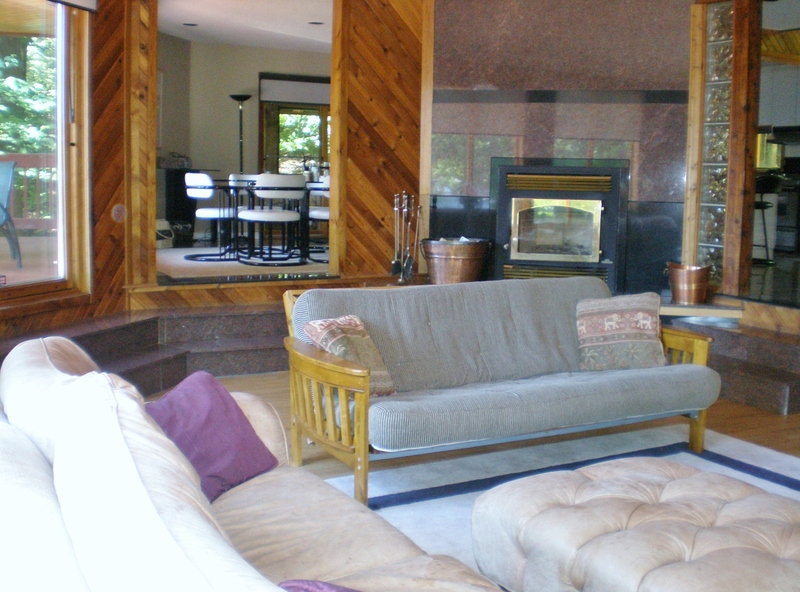 The main floor is simply exquisite with granite flooring, pine walls and the cathedral ceiling in the sunken living room, which has leather furnishings and a large screen TV. 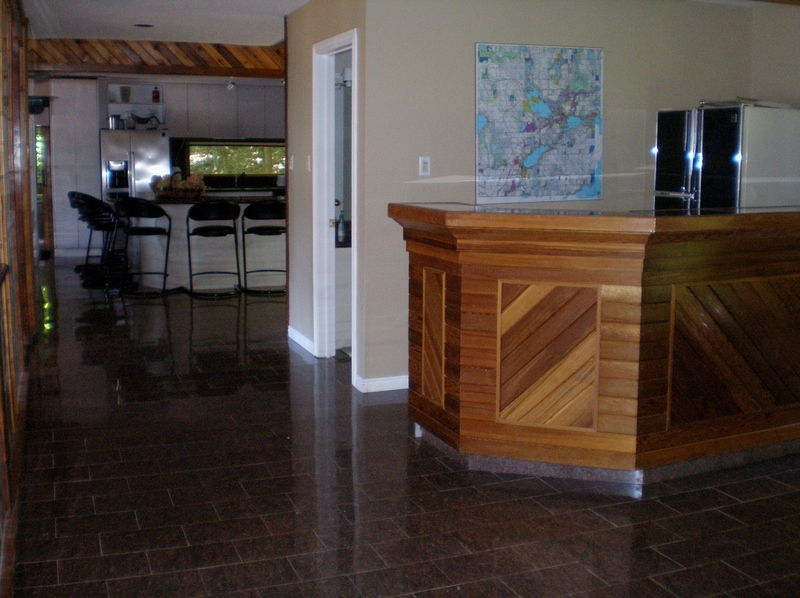 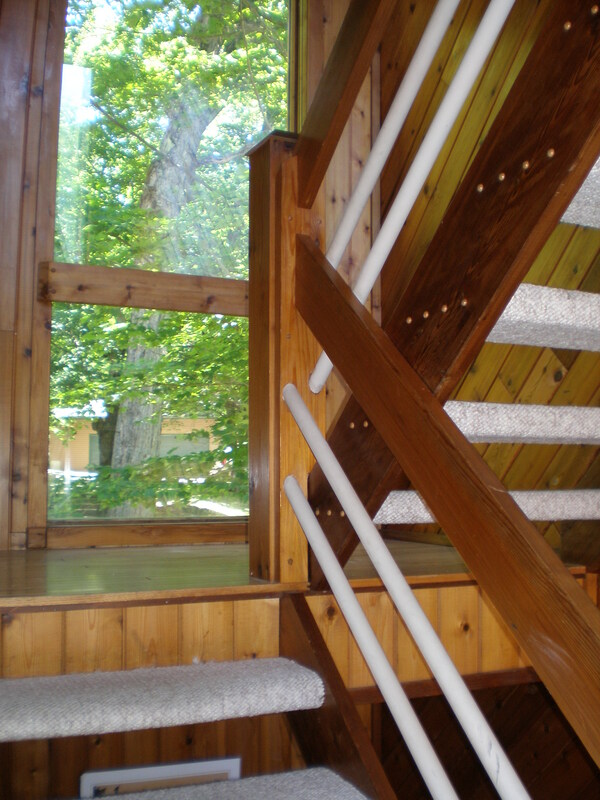 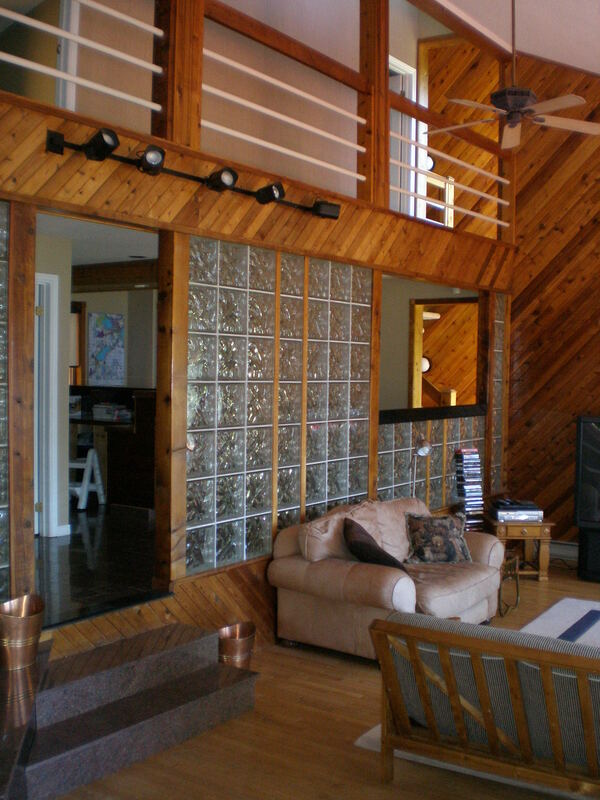 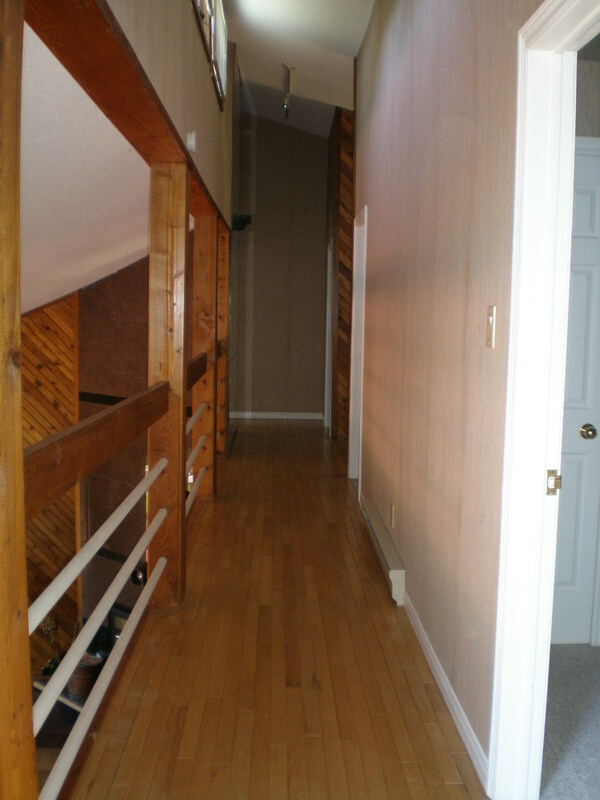 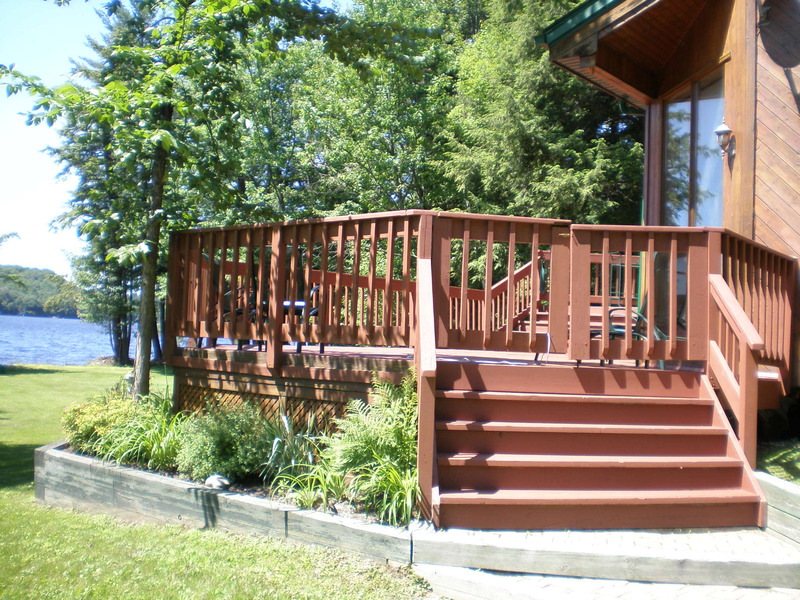 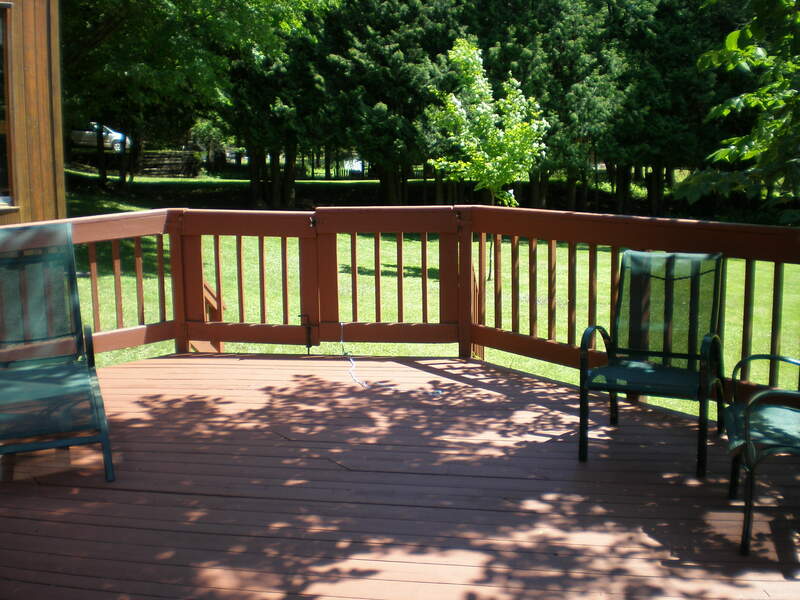 The entrances to the deck are off the living and dining area, taking you to 2 levels of decking overlooking the water. 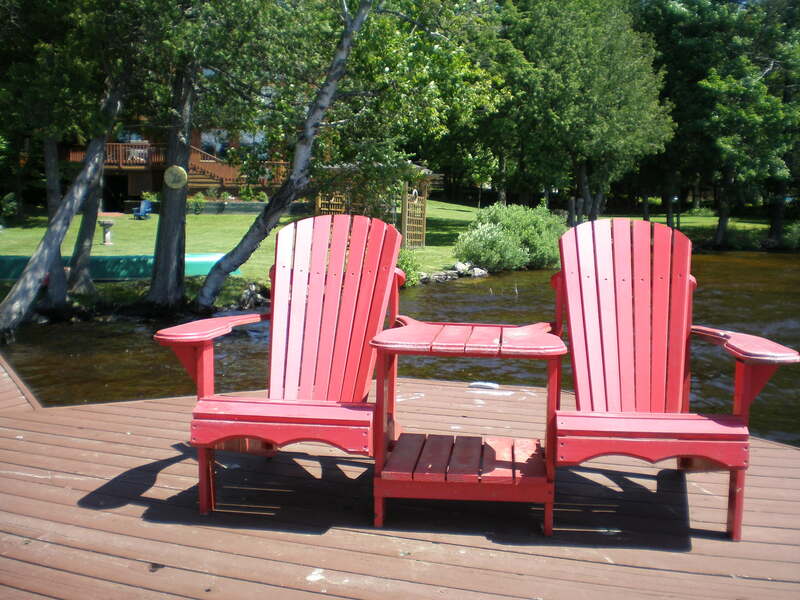 One is suited to dining, and the other ideal for lounging while you sit back and relax with friends and family. 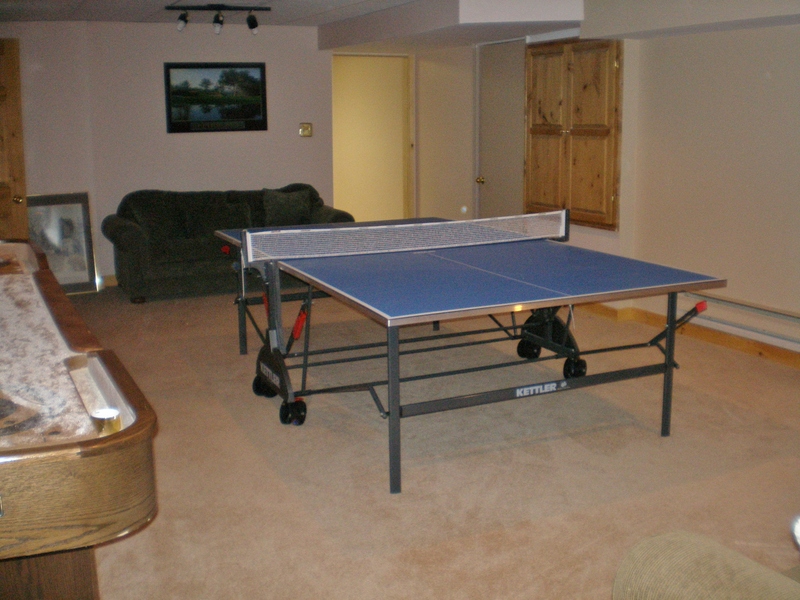 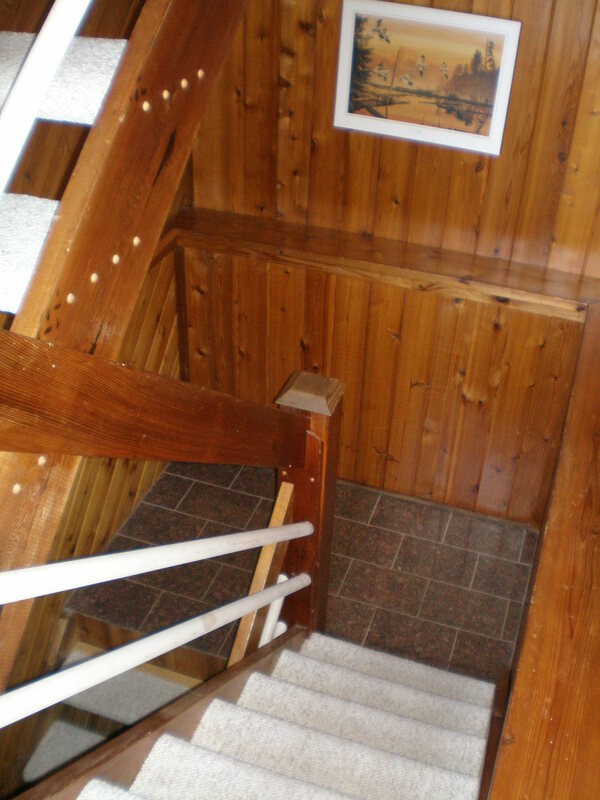 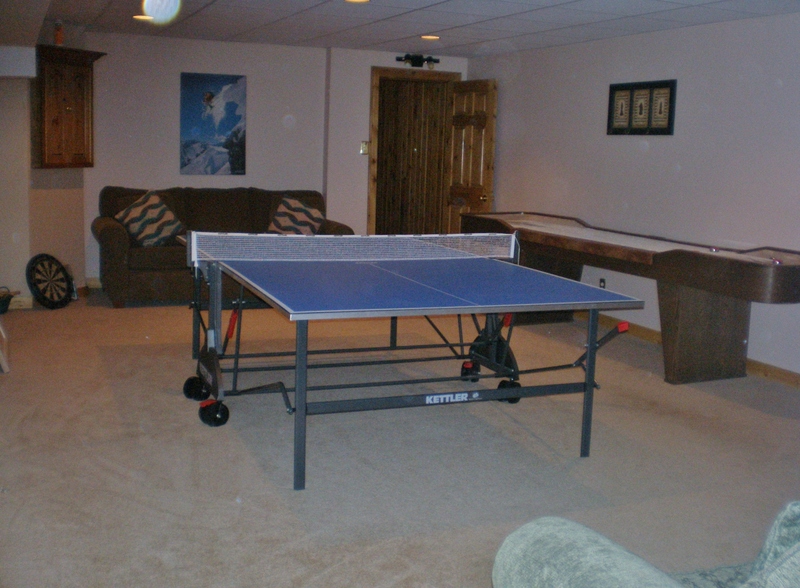 The lower level has the rec room with table tennis, shuffle board table and darts. 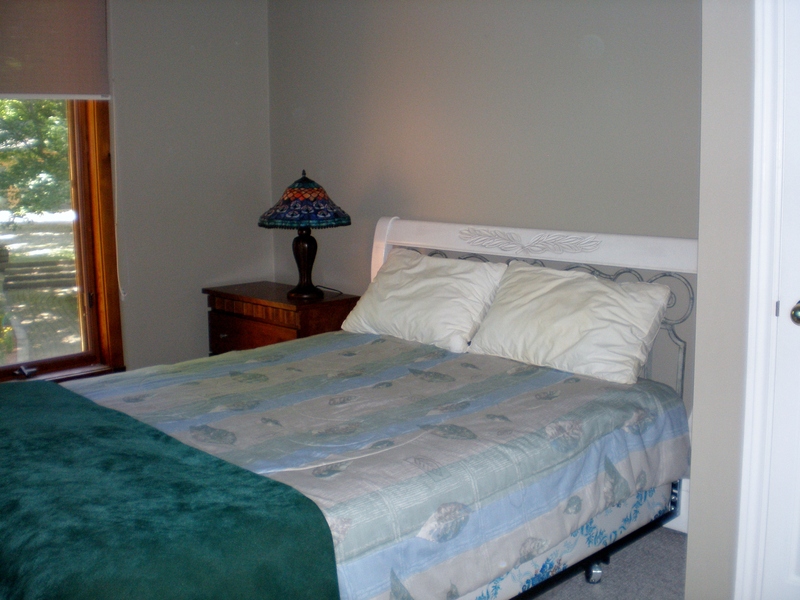 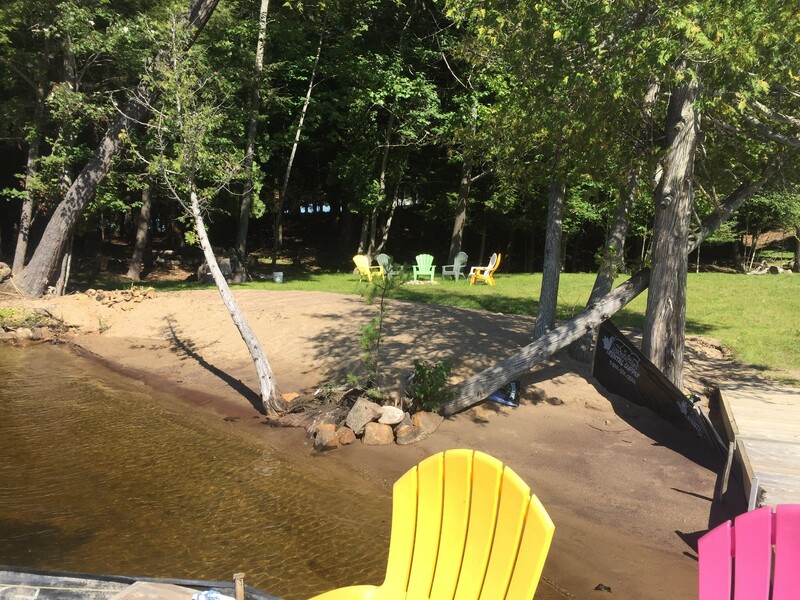 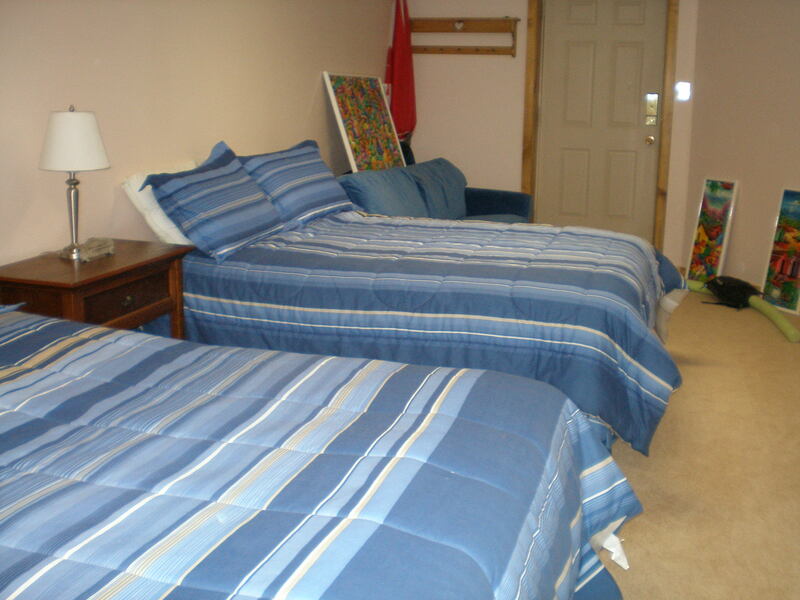 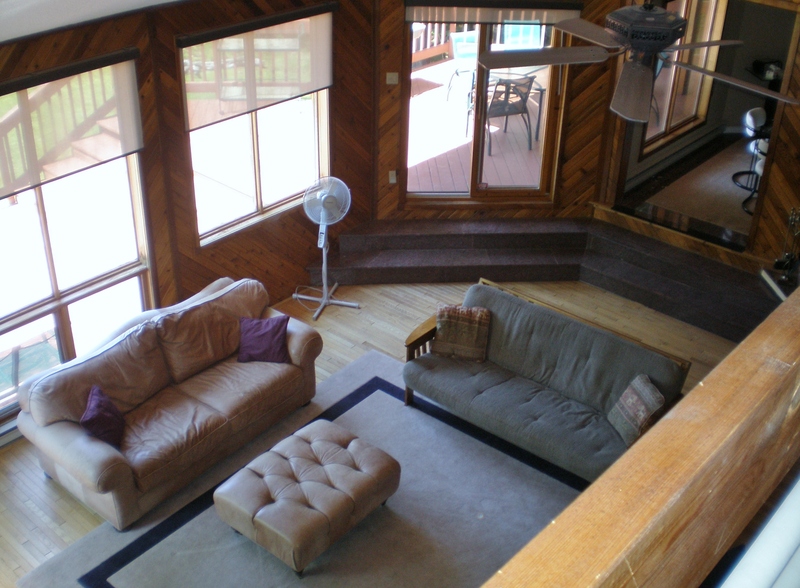 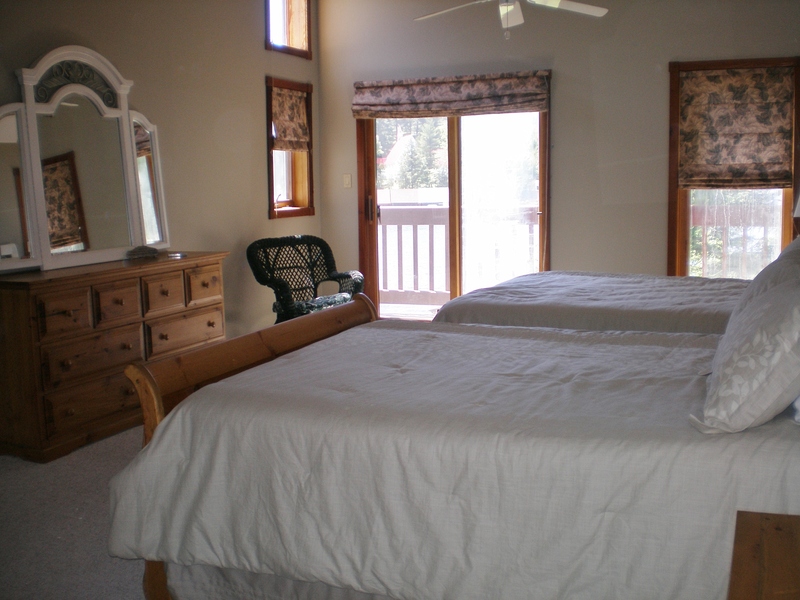 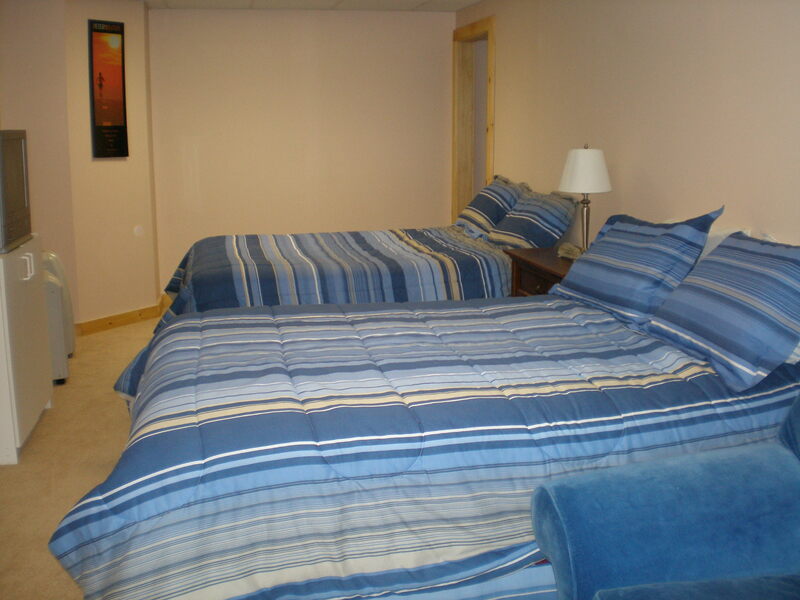 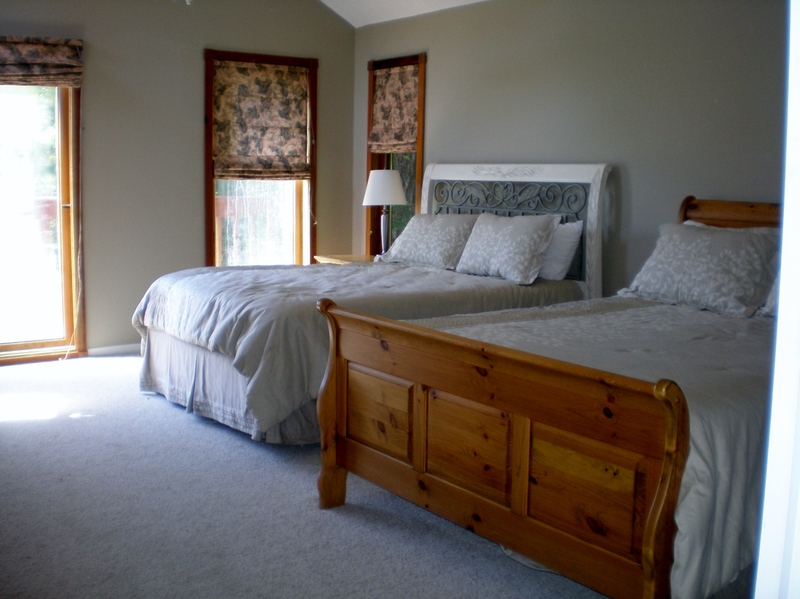 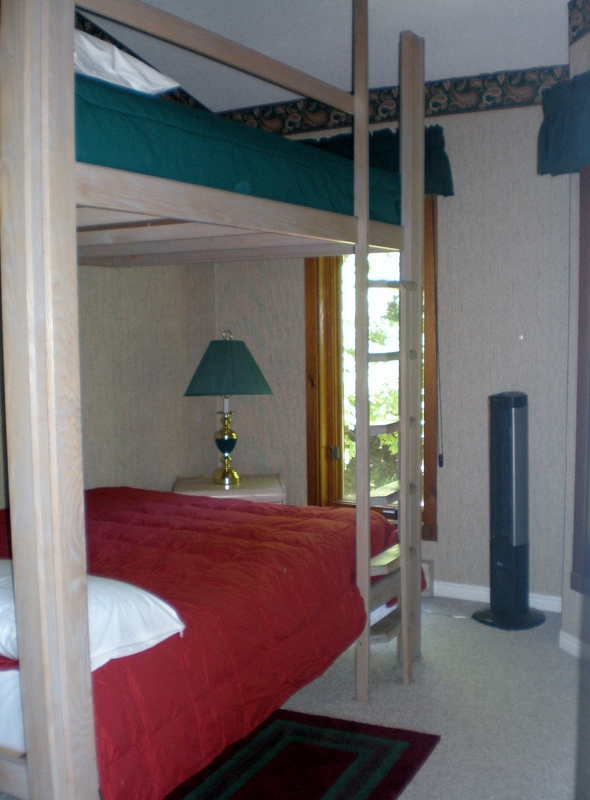 There is a bedroom with 2 queen size beds and a private walkout to the front yard.The other bedrooms are on the upper level, and the very large master bedroom has a separate private deck facing out to the lake. 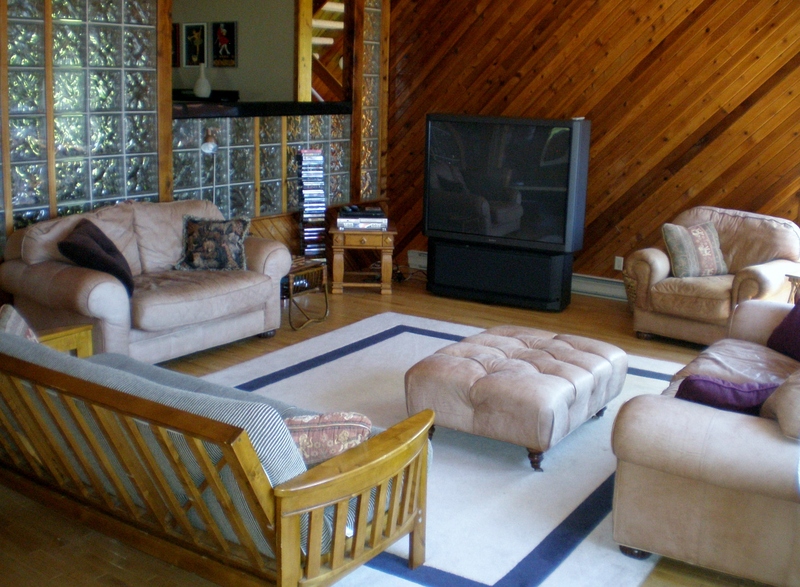 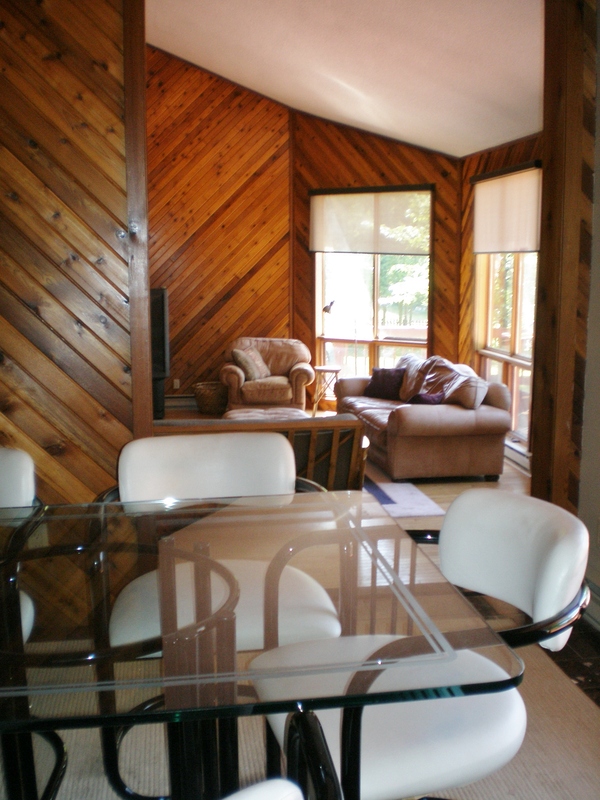 Large screen TV - 60"
LOCATION: a 2 minute drive into Port Sydney, 15 minute drive north to Huntsville, 20 minutes to Arrowhead Provincial Park, 15 minute drive south to Bracebridge (Santa's Village), an hour to Algonquin Park. 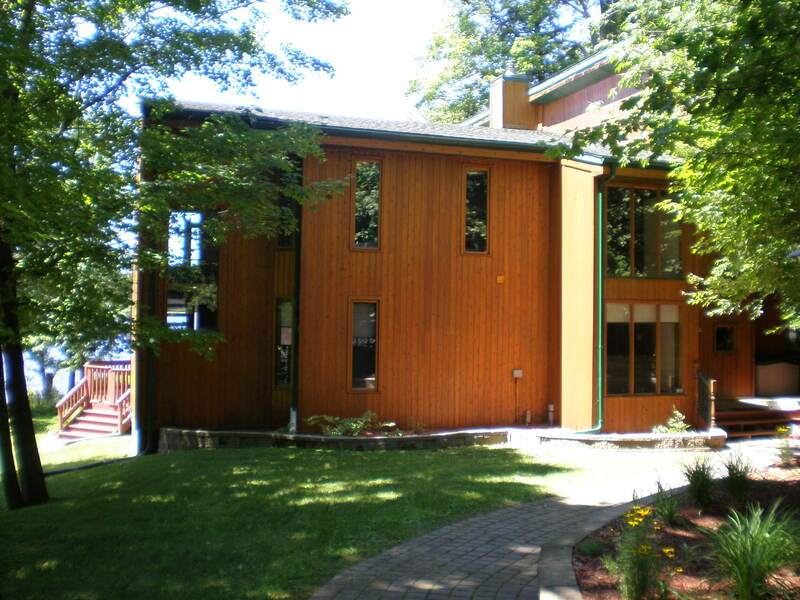 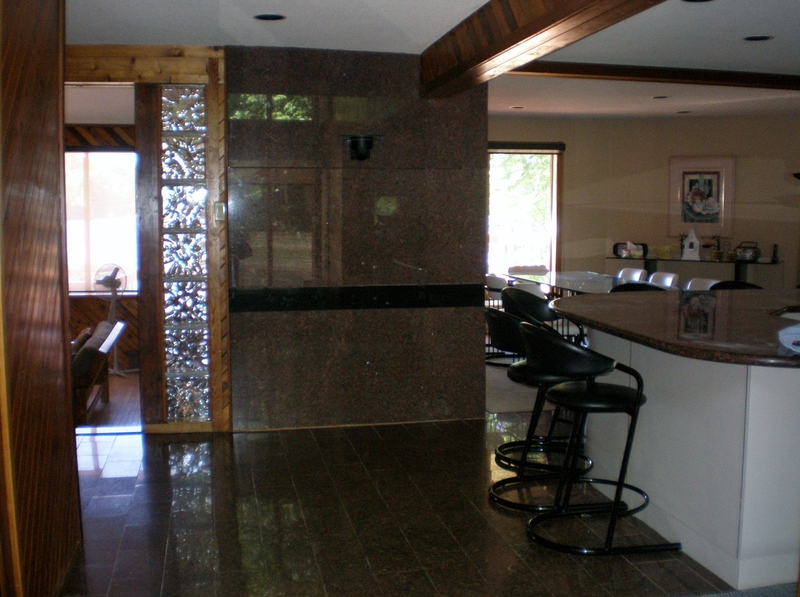 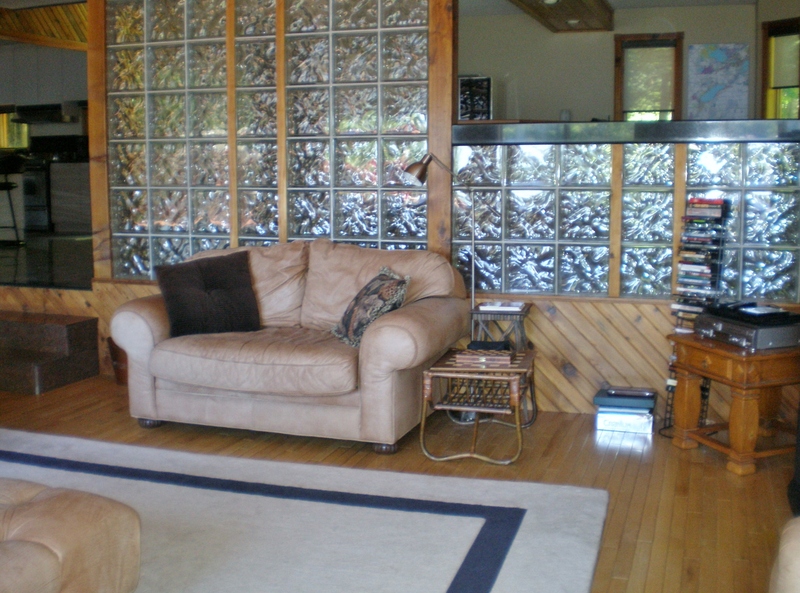 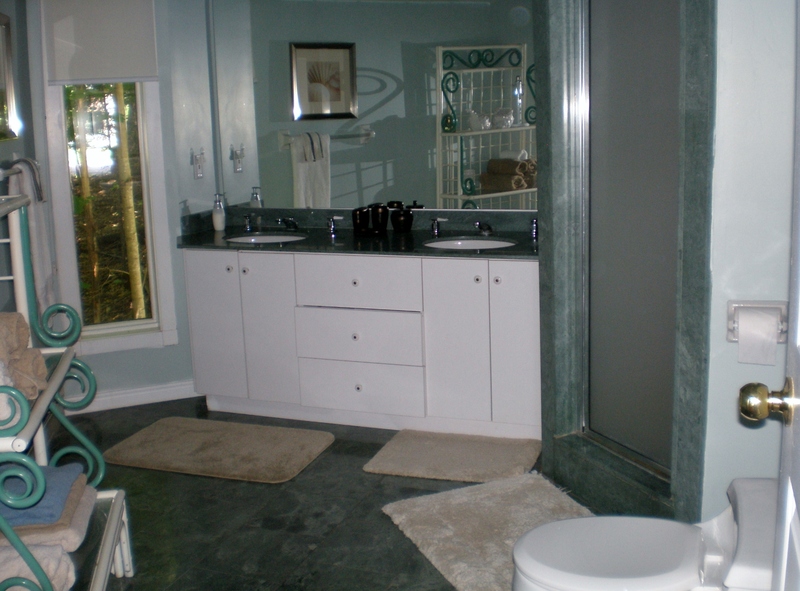 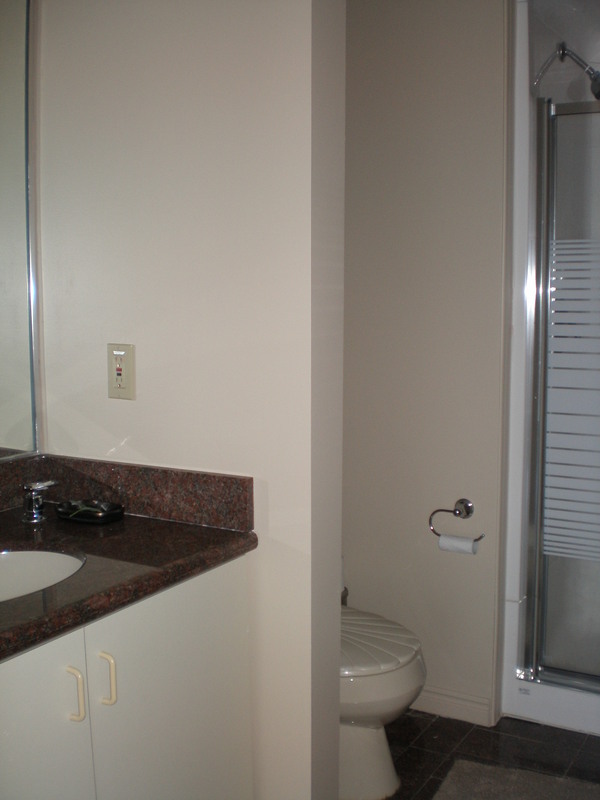 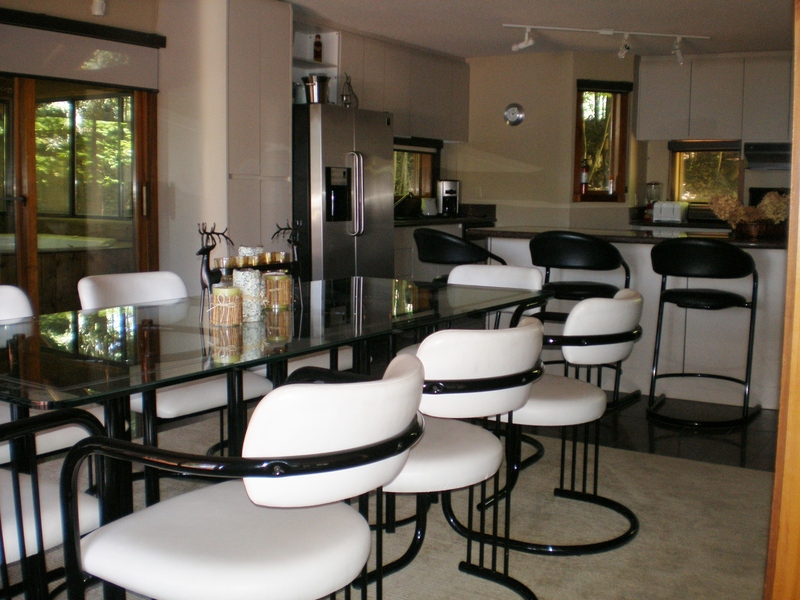 Close to several golf courses including Deerhurst, and Club Link's Mark O'Meara. 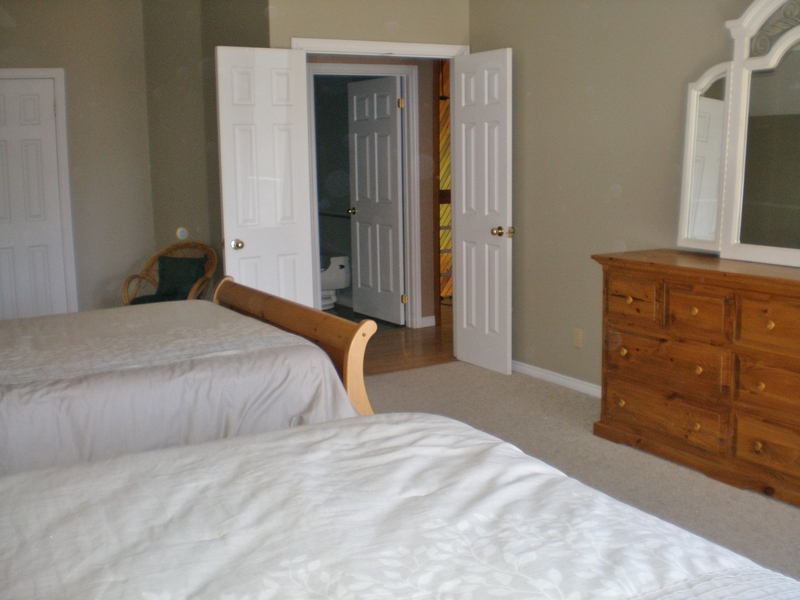 No pets, no smoking, maximum number of occupants is 8. bring own linens and towels, noise restriction after 11 PM., for winter rentals please enquire about winter availability.